Newly opened in Spring 2016, Salt & Char has an incredible philosophy of supporting the local farmers, and encouraging local regions into improving local farming practices. Staying true to this philosophy is how they are able to showcase only the best and freshest ingredients in their dishes. 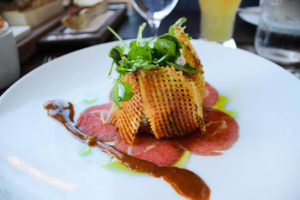 Check out photos and more about the dining experience from travel blogger SarahFunky.